experienced dental treatment, rapid results, and low prices. consultation and independent medical examinations (IME's). Far Rockaway (Arverne), New York. See our Directions page for more detailed directions. Dr. Kirschner participates in most dental plans. you pay nothing because Dr. Kirschner accepts your plan fee allowances. at (718) 634-2123. We look forward to seeing you. Please bring your forms with you, filled out and signed by the member. Our office protects your privacy while following the HIPAA guidelines. 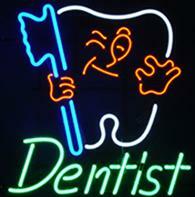 All dental services are rendered by Dr. Howard Kirschner personally. "A dentist who treats his patients like family." welcome letter, and additional information. Please call Dr. Howard Kirschner at (718) 634-2123 today! We look forward to making your smile brighter. Dr. Howard Kirschner is a licensed Dentist in New York, New Jersey, Connecticut, Pennsylvania, Massachusetts and Michigan. This website, Dazzledent.com, and the information in it, is owned by Bennett Kirschner and is the work product of Bennett Kirschner. No copying or distribution of the content of Dazzledent.com is permitted without the express written permission of Bennett Kirschner. Dazzledent.com is a registered trademark of Bennett Kirschner. All rights reserved by Bennett Kirschner.